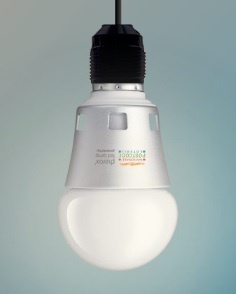 The Netherlands-based company, which introduced the first LED bulb that can replace an incandescent in a standard socket about four years ago, raised $35.7 million in funding just in March. Philips said the round was raised with a pre-money valuation (an estimate of how much the company is worth before the funding) of $170 million. All of those funds — and any money that comes in from an IPO — will go towards trying to get the cost of the bulbs down and the scale of manufacturing up. Currently the LED bulb is priced between $40 and $50. But despite the sticker shock the buyer gets a bulb that is 90 percent more energy-efficient — and lasts up to 25 times longer — than an incandescent bulb. With an estimated 25-year lifespan, Lemnis’ LED bulb could last up to six times longer than a typical compact fluorescent bulb. Lemnis even introduced a dimmable version in October. Lemnis needs to ramp up and cut the price quickly before the sleeping giants General Electric (s GE), Siemens (s SI), Toshiba — and yes, Philips — move to capture the LED consumer market. As Matt Trevithick, a venture capitalist from Venrock who did the onstage judging of the Fortune Brainstorm Green pitches, put it: There’s a big gap between introducing an LED bulb and competing at commercial scale with these lighting giants. The lighting giants are starting to wake up. GE said earlier this month that it will start selling an LED bulb by the end of 2010 or early 2011 that can replace a 40-watt incandescent bulb. GE’s LED bulb would consume just 9 watts, last 17 years (at four hours a day), and will cost between $40 and $50 at retailers. For more research on LEDs check out the report Opportunities in LED Solid-State Lighting on GigaOM Pro (subscription required). The lifespan numbers here are comparing incandescent to LED. When you compare to CFLs, LEDs are only out lasting them by 2 – 4x looking at stated MTBF. The 6x he refers to sounds like marketing spin. GE’s claim of a 40w replacement LED running at 9w, seems like a joke considering a 40w replacement CFL uses 10w for $2. I still think that the bulbs need to be < $5 to really gain traction. Sure there are applications where LED makes sense at these prices, but they wonâ€™t be a lighting revolution just yet. I would be interested in follow-story covering where these bulbs are ending up currently. I am glad to hear that such a bulb exists, even if the cost is sky high at this time. I spent hours last summer searching online for one to hook to a solar panel/battery setup to be used as a shed light. I ended up ordering 2 bulbs that have 78 LEDs in them with an MR16 connection, not a standard screw in bulb. In addition, they had to be shipped from Hong Kong. If I could find a suitable LED lighting source, I would like to make a similar setup for a yard light. Going with LEDs makes the use of solar/battery energy much more feasible in these applications. Have you seen those commercials for Stride gum where the flavor lasts so long that people aren’t spitting out their gum and buying new packs so the factory has to close? That’s what Rich is saying with these long lasting bulbs. I’m guessing with random power fluctuations/spikes and whatnot these bulbs won’t last anywhere near their listed timespan though. Or I could immagine out future grandkids visiting and rolling their eyes at our grimy obsolete 20 year old light bulbs along with our tacky wall paper and painfully dated hardwood floors. @Orion, Agreed, at this point, from a personal perspective, I’ve been buying CFLs, but not LEDs yet. I think they have to go a long ways to compete with CFLs. HD sells them in 6 packs for almost $1 a bulb. The energy savings over CFL is not enough to get me to shell out 30x or 40x more. Get down to $3-$4 each then maybe. The higher costs are due to the LEDs themselves. The electronics to run them are simpler than what’s needed for CFLs (not high voltages, ballasts, etc.). Dissipating the heat they generate when configured in a bulb shape is probably not too easy either…. @Rich, I think a significant part of the cost difference is economies of scale – as in there’s no scale and high costs. Why hasn’t anyone noticed that lamps designed for incandescent bulbs are a completely inappropriate form factor to make use of LED lighting? LEDs produce directional light, which is normally a good thing, but companies must mount them omni-directionally (costing more $$$) to match what incandescents (and CFLs) do. Katie, a CFL sells for $2 to $3. I’m an electronics engineer and I’m not sure an LED bulb requires $37 more internal electronics than a CFL. @Rich, the industry is hoping to one day get down to $25 per bulb, which is still high but perhaps a reasonable replacement?